Facebook is still the number one social media site, which lets you post status, share photos, play games, as well as connect with friends wherever they are. Another thing that you can do on the site is to upload videos. There are various reasons on why you may want to upload video on Facebook, including sharing something that you feel your friends would find entertaining, informational or interesting. You may also create a video greeting for someone and post it on the site. There are various ways on how to upload your videos, which we will go through in this article. Videos that you created or downloaded are often saved on your computer. So from your PC, you may post a video on the site by logging in to your Facebook account, clicking “Add photos/videos” on the status bar, choosing “upload photos/videos”, selecting the video you wish to upload and clicking “open”. You also have the option to enter a caption on the upper part of the video where it says “same something about this video”. Wait for the video to be completely uploaded before clicking on the “post” button. The video will then be posted on your wall. Like you, your friends can also upload video to Facebook. In case you find a friend’s video that you wish to share to your other friends, this can be easily done by clicking the “share” link below the video. Again, you may or may not write a caption. 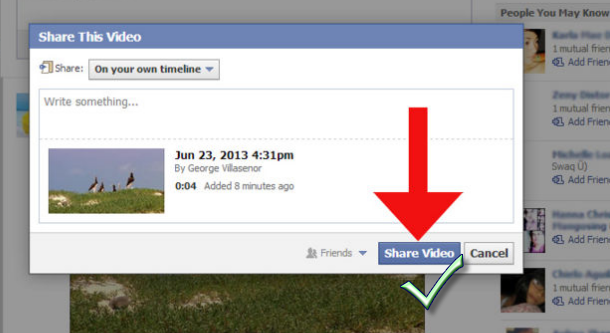 Click “share video” once ready and it will instantly show on your Timeline. Since smartphones are also commonly used for capturing videos and accessing Facebook, we’ll also go through the steps on you can upload videos using your mobile device. Find the video that you wish to upload and tap on it. Choose “mail” to bring up your email screen. You may need to tap on the arrow at the bottom of the window to find this option. 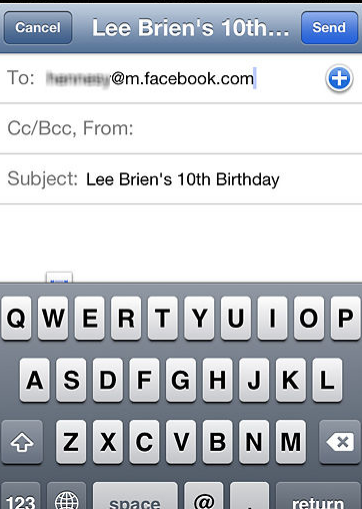 Enter your “post-by-email Facebook address” on the “to” field and type anything on the subject line, which will serve as your caption. Hit “send” once done. 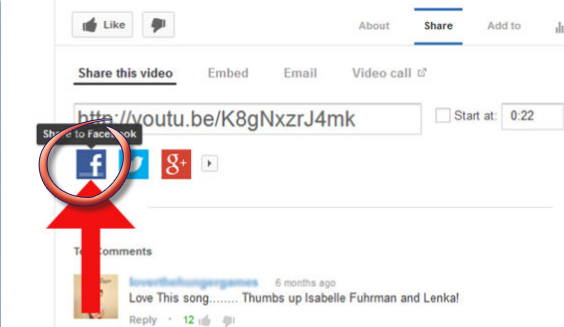 Another common way that Facebook users share video is through YouTube. Log in both on your Facebook and YouTube accounts. If these two accounts are not yet connected, you need to connect them first by clicking “YouTube settings”, selecting “connected accounts” and choosing “connect” under the Facebook option. Uploading videos to Facebook can then be done by going to the video that you wish to upload, clicking “share”, selecting the “Facebook icon” and clicking “share”. Before you start uploading videos on the site, it’s important to understand its supported formats, size and time limit to avoid encountering problems. While it can support various formats, the best format recommended is MP4, since it has a smaller size. The file size should also not exceed 1G and the length should not be over 20 minutes. If your video is not in a supported format, you may use Video Download Capture to convert it to MP4. Download and install the software on your PC and start using it. Click the “Convert” tab and click “Add” to select the video that you wish to convert. Next to “Profile”, choose “MP4” from the list of formats and click “Start”. Wait for the conversion to finish so you can start uploading the video on the site. 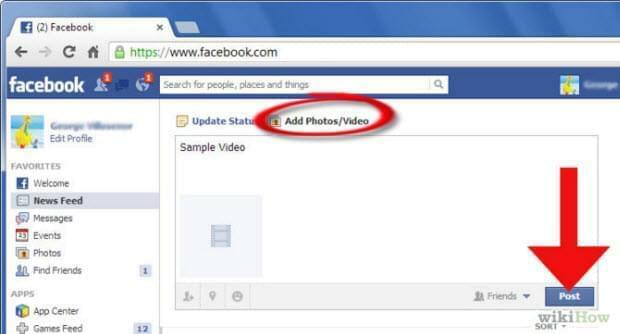 Now that you learned the various options on how to upload videos on Facebook, you would realize how easy it is to do. However, you may still encounter some problems every now and then like difficulties uploading from the status field. If you experience this issue, go to your timeline, click “Photos”, select “Add video” and choose a video and click “post” once it’s done uploading. The ratio of the video should also be considered. It’s recommended that it’s at least 16×9 or 9×16. Copyrighted materials and explicit videos are also not allowed. These videos would be removed, but if you continue to try to post these same materials, your account may be blocked from uploading videos. So be careful not to share these kinds of stuffs.